Save 65% on Fisher-Price Thomas & Friends Wood – Cranky at The Docks, today for $24.80, (list price $69.99, save $45.19). Save 54% on Fisher-Price Thomas & Friends Adventures Robot Rescue Playset, today for $18.42, (list price $39.99, save $21.57). 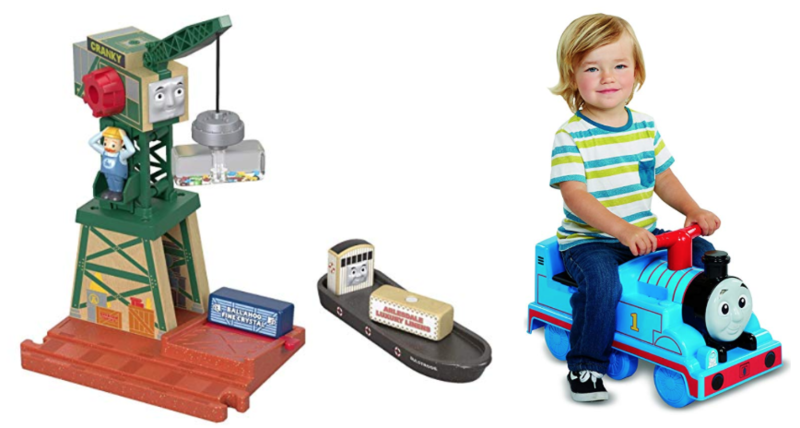 Save 42% on Thomas & Friends Fast Tracks Ride-on, today for $34.87, (list price $59.99, save $25.12).